Having cruised to victory at the KwaZulu-Natal Triathlon Championships just over a fortnight ago, up-and-coming triathlete and Elite Athlete Development Programme (EADP) stalwart Henri Schoeman has a big year ahead of him as he sets his sights on the 2016 Olympic Games in Rio de Janeiro. 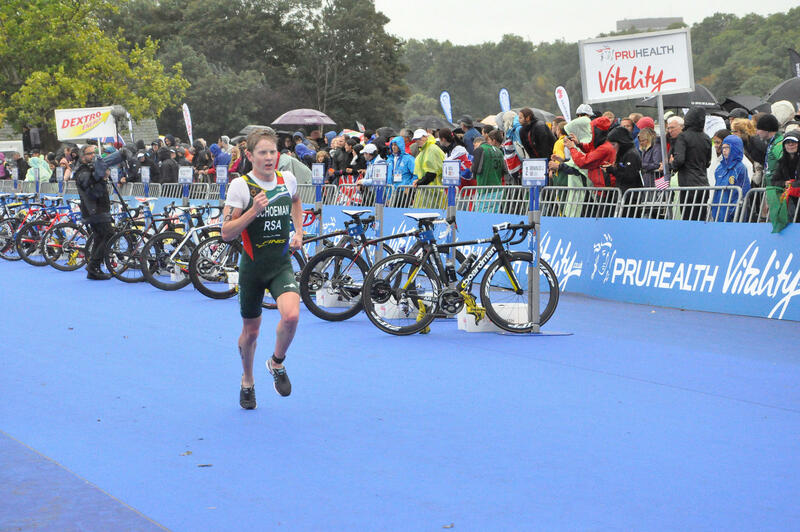 Schoeman has been a regular on the International Triathlon Series starting line and with the global season fast approaching the KZN champs came at the perfect time for him as he builds up to a big year with Olympic qualification at the forefront of his endeavours. The athlete from Durban has been with the Elite Athlete Development programme driven by the KwaZulu-Natal Department of Sport and Recreation since its inception in 2014 and he is happy with the progress that he has made under the guidance of the professionals at the Prime Human Performance Institute. “My training is going really well at the moment and I think that I am in the best shape and form that I have ever been in which is a testament to the work that has come from the people around me and the people at Prime who have been supporting me so well. “I have been training at Prime for a while, even before the EADP was set up, however with the help of the Department of Sport and Recreation we have access to physiotherapists, doctors and dieticians as well and all of that adds up for us athletes so the support that they are giving me is invaluable,” a grateful Schoeman added. With the high class facilities that Prime offers Schoeman knows that he will have all of needs catered for even if the frustration of an injury keeps him out of action. “With such quality equipment there is always the chance that I can train even if I am unable to compete which means that I am always able to maintain a strong fitness baseline so I can always remain fit and active even when I am unable to compete. “I had a tough year last year with injuries and so in 2015 I am hoping that I can overcome them and be able to race throughout the season with some important points up for grabs with the Olympics next year,” he mentioned hopefully. 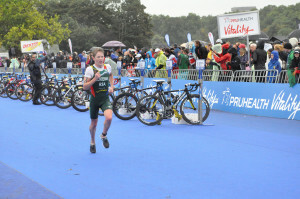 Following a solid block of training over the festive season and a good win in the KZN Champs Schoeman is confident about his chances going into the International triathlon season and with some good form and good health he feels that he should be on his way to getting to the Olympics next year. “The Olympics are my main goal for the season and after quite a frustrating year last year I think that I am ready for the season and if I can get myself back into the top ten in the world again and accumulate as many points in the series as I can. “If I can stay fit this season then I don’t see why I can’t achieve this goal so I am excited for what is to come in 2015,” the Commonwealth Games team triathlon silver medallist explained.